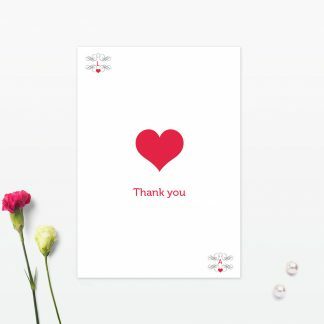 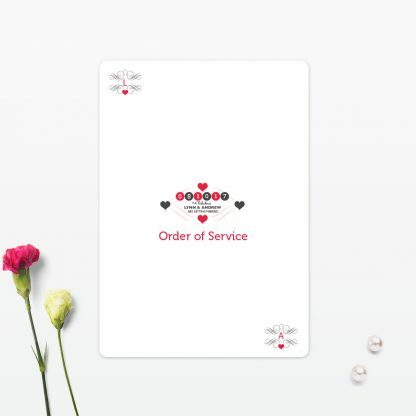 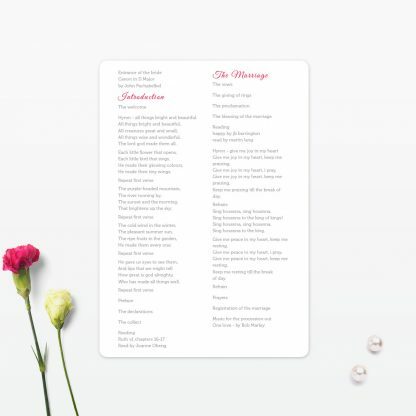 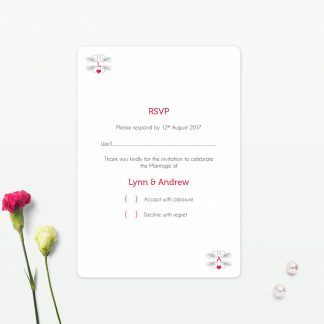 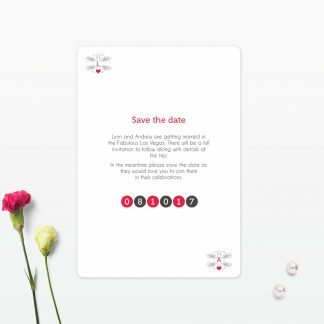 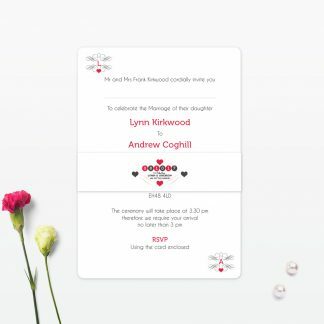 Whether you are having a church service or civil ceremony, a Viva Las Vegas order of service is a lovely way to let your guests know the day’s proceedings. 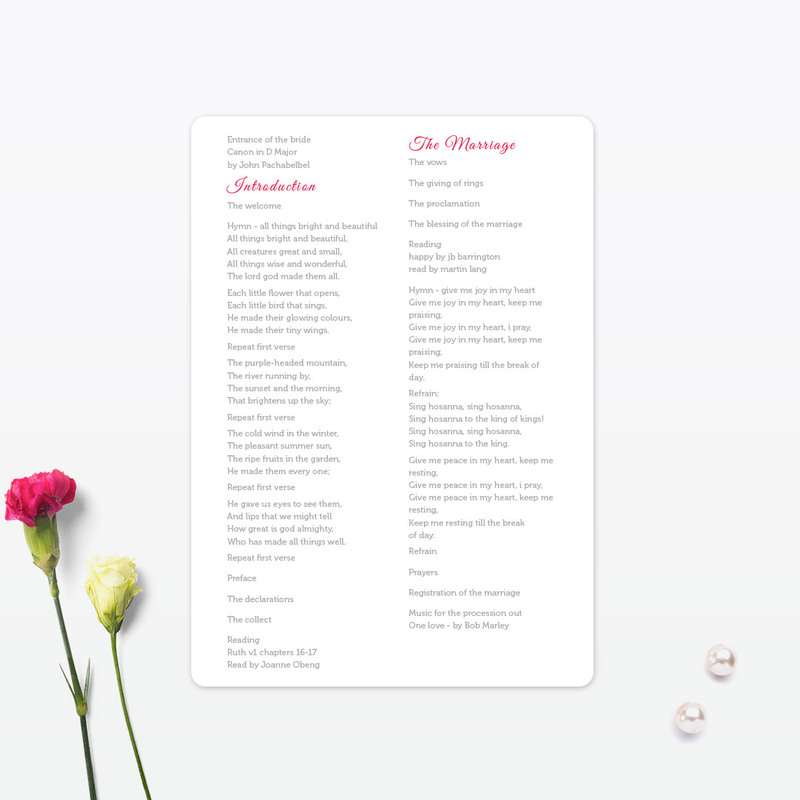 It can simply include the running order of the day and who’s who to a full church service, hymns included. 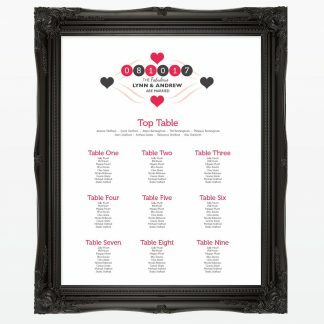 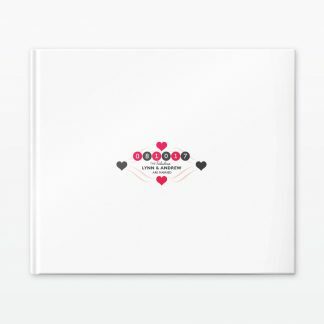 The Viva Las Vegas order of service is available in either A5 or A6 formats. You are also able to select a double sided card or a folded 4 or 8 page depending on how much wording you would like to include.